Get the right coverage for your home at the best price available! Top auto insurance carriers at the best possible rates! Be safe, have fun, and quit paying so much for your watercraft insurance! From startups to established corporations, we provide the right coverage for your business! Life is full of the unexpected, you owe it to your family to be prepared! For many families, the most valuable asset they will ever own is their home. We specialize in understanding our clients needs and concerns to be sure your home is properly protected. Our carriers feature the convenience of 24 hour claims service, electronic payments, and access to online policy documents. From cars to motorcycles, if you can drive it, we can insure it. Being on the water is a part of Florida living. The sunshine state provides endless opportunities to enjoy some fun in the sun. We protect your watercraft no matter how big or small so you can stay on the water. If you own a business, you know there are risks. Protecting your hard work and your employees shouldn't be one of those risk. From startups to established, we provide the business insurance you need. Life is full of the unexpected, and you work hard to provide for your family. We insure you for life's little disasters so you can rest easy knowing that your family is taken care of. 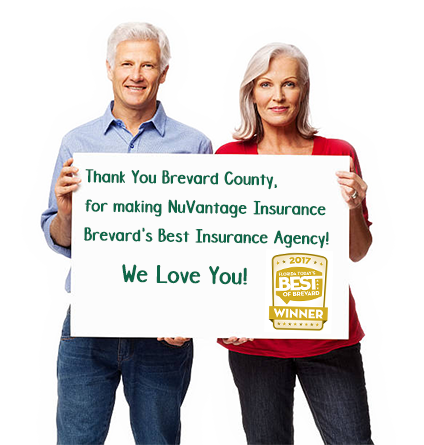 NuVantage Insurance, voted Brevard County’s Best Insurance Agency was founded with one main principal in mind: Outstanding Customer Service. With Florida insurance rates at an all-time high, we take the time to understand our clients needs to provide the right coverage at the best price. Our agents have the experience and education to get you the right policy for your Home, Auto, Boat, Business, and Life Insurance needs. 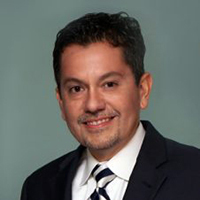 Over 50 Years Of Combined Experience In The Insurance Industry, Specifically Brevard County. One of the most important aspects of NuVantage Insurance’s business is staying very involved in the community, especially when it comes to charitable organizations that involve women and children. 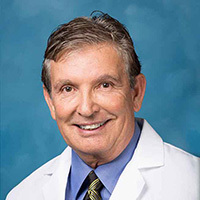 Our mission through our business is to make a difference in as many lives in Brevard County as possible. Below, we would like to highlight a few of the very worthwhile, local organizations that we are proud to call partners. At NuVantge Insurance, we take the time to educate our clients regarding their insurance options, in order for them to make the best possible decision in helping them to protect their valuable assets. Can NuVantage Insurance Save Me Money? At NuVantage Insurance, our goal is to save you money while getting you the best coverage available anywhere. Our Insurance Specialists are highly trained and complete a thorough risk evaluation to ensure that you have the right coverages, and we work with our large network of carriers to find you the best price. Is It True That Bundeling Coverage Can Save Me Money? Combining policies, or “bundling” is a quick and easy way to save money on insurance. During your risk evaluation, our Insurance Specialists will discuss cost-saving options such as bundling. Can I Switch Insurance Even If It Hasn't Been 12 Months? In many cases, YES! And if this is the case, any collected premiums that have not been used will be refunded by the carrier. WHY WAIT TO SAVE MONEY ON BETTER COVERAGE. No matter what your insurance needs are, we've got you covered! Great people, great service! I was very pleasantly surprised how much money I was able to save on my homeowners insurance. NuVantage Insurance handles both my personal and business insurance and does a great job on both. The customer service is the best and they always look out for me regarding getting the best cost on all of my policies!